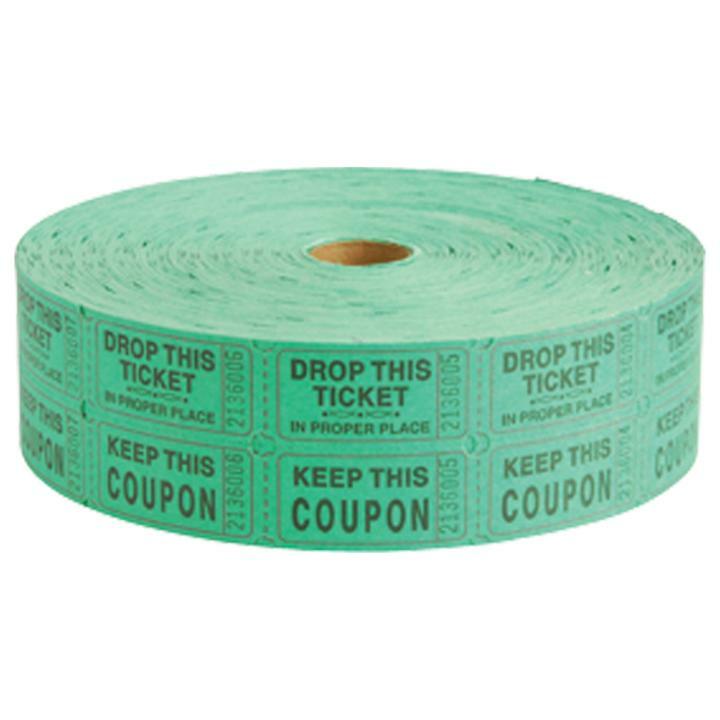 Cheap Green Double Carnival Tickets - 2000 Ct.
Green Double Carnival Tickets - 2000 Ct.
Great for school or church carnivals! These carnival tickets come 2,000 tickets on a roll. The tickets are consecutively numbered with 2 tickets per number. Includes two tickets one for the guest to keep and one to drop in the raffle drum. This is a must have carnival supply for any event in which you are going to have raffle drawings. Size 2" L. Colors available: Red, Blue, Yellow, Orange, Green, or White. Made in the USA. L: 6.75 in. W: 6.75 in. H: 2.25 in.